THIS IS A COMBINED SYNOPSIS/SOLICITATION for commercial items prepared in accordance with the format in Subpart 12.6, as supplemented with additional information included in this notice. This announcement constitutes the only solicitation; proposals are being requested and a separate WRITTEN SOLICITATION WILL NOT BE ISSUED. 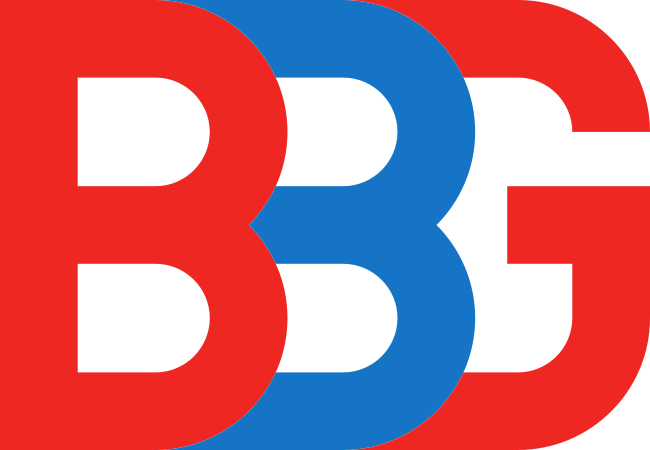 The solicitation number BBG50-Q-13-00013 is issued as a request for proposal (RFP) for the acquisition of Broadcasting Services, in support of the Broadcasting Board of Governors (Voice of America) 330 Independence Avenue, Washington, D.C., 20237. The period of performance shall consist of a Base period of six (6) months, with one, one (1) year option period. This acquisition is being solicited as Full and Open Competition. The associated NAICS code for this procurement is 515111. The Government intends to award a Single Firm-Fixed Price contract but reserves the right to make multiple awards as a result of this solicitation. APPLICABILITY OF FAR PROVISIONS: The incorporated provision at 52.212-1, Instructions to Offerors- Commercial Items (JUN 2008) applies. The provision at 52.212-2, Evaluation Commercial Items (JAN 1999) applies to this solicitation. Offerors must include a copy of 52.212-3 (AUG 2009) with the proposal. The Clause 52.212-4, Contract Terms and Conditions – Commercial Items (JUN 2010) applies to this solicitation. The Clause at 52.212-5, Contract Terms and Conditions Required to Implement Statutes or Executive Orders – Commercial Item (JUL 2010), applies to the acquisition. Provision at 52.204-6, Data Universal Numbering System (DUNS Number) (APR 2008) applies. The Clause 52.204-7, Central Contractor Registration (APR 2008) 4.1104 also applies. All offers must be signed. Offers shall include: Company Name; Company Address, Tax Payer ID Number, DUNS Number, a list of three references with telephone numbers. FAR 52.252.1 SOLICITATION PROVISIONS INCORPORATED BY REFERENCE (FEB 1998); SUBMISSION OF PROPOSALS: Documents submitted in response to this solicitation must be fully responsive to and consistent with the requirements of the solicitation. Failure to comply with all the requirements of the solicitation may result in the offer being considered unacceptable for award. Offers are due no later than 4:00 p.m. EDT on July 17, 2013 via FedEx or other mail carriers of delivery to the address shown above. FAX OR EMAIL PROPOSALS will be ACCEPTED. ADDITIONAL INFORMATION: TELEPHONE INQUIRIES WILL NOT BE ACCEPTED. PAST PERFORMANCE: The offeror shall submit three (3) past performance examples of current or previous contracts within the past three (3) years immediately preceding the issuance of this solicitation to be considered recent. Past performance information must include name of agency serviced or being serviced, name, telephone number and email address of agency point of contact; contract number, value of contract, nature of work performed, and the period of performance. Offerors are advised that the Government may use past performance information obtained from centralized past performance databases and sources other than those identified by the offeror and the information obtained may be used for both the responsibility determination and the best value decision. The absence of past performance data will be rated neither favorably nor unfavorably. Contracts listed may include those entered into with Government agencies or private sectors. For contractors with no relevant corporate past performance, the Government may take into account information regarding the past performance of predecessor companies, key personnel with relevant past performance. QUESTIONS: If the offeror is uncertain as to any requirements of the specification(s), such questions shall be directed to the Contracting Officer. Questions shall be submitted via email to cpeters@bbg.gov & amartine@bbg.gov. Questions must be received no later than 1:00 p.m. (EDT) on Friday, July 12, 2013. Questions, which are not submitted in writing or are submitted after 1:00 p.m. (EDT) on Friday, July 12, 2013, will not be addressed. Responses to the questions submitted, if/as appropriate, will be responded to via an amendment to the solicitation only, which will be posted to FEDBIZOPPS. “Popular” is defined as any television network transmitted to mass audiences by terrestrial means, and/or by cable and/or satellite, that ranks in the top 25 networks rated by commercial ratings firm Gallup/Pakistan between the hours of 21.00 and 22.00 for the month of April, 2013. The Network shall broadcast the program at the same fixed time five nights weekly (Monday-Friday), between the hours of 21.00 and 22.00, with the airing not varying more than two minutes from the time agreed upon,. BBG is authorized to produce this program in any way it sees fit, so long as it does not violate the laws of Pakistan. The Network retains the right to recommend changes to the program content so that BBG may make aprogram or segment more balanced and in accordance with the laws of Pakistan. Network shall broadcast the program in its entirety, without alteration, abridgement or excerption. However, Network shall have the right to determine whether the program is in accordance with the laws of Pakistan. Program shall be transmitted by BBG via satellite or Internet/FTP – with technical details of the transmission to the Network(s) and feed transmission times to be mutually agreed upon. Proposals shall include an estimate of the Network’s total audience at the proposed scheduled playback time expressed as the total number of adult individuals age 15+ watching the network. Such estimates shall be from a recognized commercial research firm, and Network shall provide documentation to support such estimates. BBG reserves the right to make multiple awards; offers submitted shall be valid for 60 days from submission. Payment from BBG shall be in arrears, net 30 days upon proper invoice. Effective date for this procurement shall be August 1, 2013. Duration of this procurement shall be six (6) months, ending January 2, 2014, with one (1) option year period beginning January 3, 2014 and ending January 2, 2015. EVALUATION CRITERIA: The Offeror shall submit a proposal that delineates its technical ability and relevant expertise to perform the work described in the Statement of Work (SOW). (i) Total number of impressions for 132 airings of the “NewsMinute.” That number will be calculated using ratings data from Gallup/Pakistan for the time period of 21.00 to 22.00 for the month of April, 2013. (ii) Past Performance – the offeror’s past performance in working with BBG’s broadcasters and in contract compliance regarding pre-emptions will be considered. Past Performance will be considered at an equal weighting to total impressions. RELEVANT EXPERIENCE: The Offeror shall list its experience with supporting documentation. BASIS OF AWARD: The award will be made to the vendor(s)/contractor(s) whose offer is determined to be the best overall value to the Government, price and other non-cost factors will be considered. BASE PERIOD: August 1, 2013 to January 31, 2014. Duration of this procurement shall be six (6) months, ending January 31, 2014, with one, (1) year option period beginning February 1, 2014 and ending January 31, 2015. T — History/Timeline Wall Extension FA8751-13-Q-WALL 071813 Jenna A. Tarbania, Phone 315-330-2260, Email Jenna.Tarbania@us.af.mil This is a combined synopsis/solicitation for commercial items prepared in accordance with the format in FAR Subpart 12.6, as supplemented with additional information included in this notice. This announcement constitutes the only solicitation; quotes are being requested and a writtensolicitation (paper copy) will not be issued. Further, offerors are responsible for monitoring this site for the release of amendments (if any) or other information pertaining to this solicitation. Solicitation FA8751-13-Q-WALL is issued as a request for quotation (RFQ). For your reference a Sources Sought Notification was issued for this RFQ under FA8751-13-Q-WALL. This solicitation document and incorporated provisions and clauses are those in effect through Federal Acquisition Circular (FAC) 2005-68 and Defense Federal Acquisition Regulation Supplement Change Notice (DCN) 20130626. See http://farsite.hill.af.mil/ for the full text of all provisions and clauses incorporated by reference herein. This procurement is being issued as a total Economically Disadvantaged Women-Owned small business (EDWSOB) set aside under NAICS code 541430 and small business size standard of $7M. To be eligible for award as an EDWOSB, your firm must be registered in the WOSB Program Repository. To register, complete certification according to instructions found within Attachment No 1 and submit to the WOSB Program Repository prior to submitting the offer. The contractor shall provide the service as described in the attached Performance Work Statement (PWS) on a firm fixed price basis (Attachment No.2). A SITE VISIT is encouraged and will be conducted Wednesday 10 July 2013 at 10AM EST at Air Force Research Laboratory, 525 Brooks Road Rome, NY, 13441. To ensure attendance, offerors must complete the attached Site Visit Reservation Form (Attachment No. 3) and submit it to the security office (follow directions on the form). Offerors must also complete the Site Visit sign up form to notify the POC (Attachment No. 4) and submit it to the POC listed in paragraph (b) below. Both forms must be submitted by 3PM Monday 8 July. If no responses are received the Site Visit will be cancelled. Offerors shall provide at least the same warranty terms, including offers of extended warranties, offered to the general public in customary commercial practice. The required period of performance is 60 days After Receipt of Order (ARO). All deliveries shall be made in accordance with FAR 52.247-34 FOB Destination. The place of delivery, acceptance and FOB destination point is Rome, NY. (b) Written quotes are due at or before 3PM EST, 3PM 18 July 2013. Submit to: AFRL/RIKO, Attn: Jenna Tarbania, 26 Electronic Parkway, Rome NY 13441-4514 or by facsimile to: 315-330-2260 or by email to Jenna.Tarbania@us.af.mil. Offerors are encouraged to submit their quotes using the SF 1449, Solicitation/Contract/Order for Commercial Items. (b)(4) Submit a technical description of the items being offered. Technical description submittals shall include a design concept as required in paragraph 1.1 of the PWS. (b)(10) Submit past performance information to include recent and relevant contracts for the same or similar work and other references (including contract numbers, points of contact with telephone numbers and other relevant information). (b)(12) If the offer is not submitted on the SF 1449, include a statement specifying the extent of agreement with all terms, conditions, and provisions included in the solicitation. Offers that fail to furnish required representations or information, or reject the terms and conditions of the solicitation may be excluded from consideration. (c) The Period of acceptance offers is changed from 30 calendar days to 60 calendar days. (g) Contract award. The Government intends to evaluate offers and award a contract without discussions with offerors. Therefore, the offeror’s initial offer should contain the offeror’s best terms from a price andtechnical standpoint. However, the Government reserves the right to conduct discussions if later determined by the Contracting Officer to be necessary. The Government may reject any or all offers if such action is in the public interest; accept other than the lowest offer; and waive informalities and minor irregularities in offers received. (k) SAM. Offeror’s must be registered in the SAM database to receive a contract award. If the Offeror does not become registered in the SAM database within 5 days after receiving notification from the Contracting Officer, the Contracting Officer will proceed to award to the next otherwise successful registered Offeror. The provision at FAR 52.212-2, Evaluation — Commercial Items applies. In addition to the information within paragraph (a), the following factors shall be used to evaluate offers: (i) Price, (ii) Technical Capability, and (iii) Past Performance. When combined, technical capability and past performance are approximately equal in importance to price. The clause at 52.212-4, Contract Terms and Conditions — Commercial Items applies to this acquisition. 5352.201-9101, Ombudsman is hereby incorporated into this solicitation. The Ombudsman for this acquisition is Barbara Gehrs, Building 15, RM225, 1864 4th Street, Wright-Patterson AFB OH 45433-7130 FAX: 937-656-7321 COM: 937-904-4407. Note that the clause at 252.232-7003 is included in this solicitation. DoD requires all payment requests (with a few exceptions) to be submitted and processed electronically. All vendors/contractors must familiarize themselves with this clause and DFAR 232.7003 for specific procedures. The DoD preferred electronic form for transmission is Wide Area Workflow – Receipt and Acceptance (see website – https://wawf.eb.mil). Wide Area Workflow Training may be accessed online at http://www.wawftraining.com. Please confirm in your proposal that your company is able to submit electronic invoices as set forth in the clause. Note that funds are not presently available for this effort. No award will be made under this solicitation until funds are available. The Government reserves the right to cancel this solicitation, either before or after the closing date. In the event the Government cancels this solicitation, the Government has no obligation to reimburse an Offeror for any costs. This effort will be solicited as a 100% small-business-set-aside under NAICS Code 541330, with a size standard of $35,500,000. The resultant SOF TEAMS II contract will be a 5 year (Base year plus four option years) standalone C-Type contract. Per this decision, any firm desiring to participate as a prime contractor in this solicitation must be a recognized as Small Business Concern under NAICS Code 541330, in accordance with FAR 19.301. For those interested Small Businesses, please familiarize yourself, if you have not already, with the Limitations on Subcontracting requirements under FAR 52.219-14. The Program Executive Office for Simulation, Training and Instrumentation (PEO STRI) will be conducting a Presolicitation Conference and Site Visit for the Special Operations Forces Training, Engineering and Maintenance Support II (SOF TEAMS) solicitation. These events will be held together at the 160th Special Operations Aviation Regiment (Airborne) (SOAR(A)) facilities located at Fort Campbell, KY from 29 to 30 May 2013. Vendors interested in attending this joint event are requested to respond no later than 1400 hours (EST) on Tuesday, Monday 13 May 2013. Due to the security restrictions associated with the location of this event, only a limited number of persons can attend. As such, the Government requests that only those vendors with realistic intent to bid either as a Prime of a Subcontractor respond. At the close of this announcement on 13 May 2013, the Government will evaluate the number of responses to determine if there is to be further attendance restrictions. The Government will notify ONLY those vendors who responded to this announcement and will provide further specifics regarding the schedule of events. The current intent is to allow two (2) persons from each vendor to attend, however; this number may change in order to accommodate the level of interest. If there is a change in the number of allowable attendees, the Government reserves the right to enact further restrictions in order to accommodate the event limitations. Attached to this notice is the 160th SOAR(A) Standard Operating Procedures (SOP) for gaining access to the facility. Each interested vendor MUST thoroughly review and comply with the requirements stipulated in this document and provide, as part of its response to this announcement. All responses shall be submitted via email to the PEO STRI Point of Contact (POC) listed below. Additionally, a completed Simulation Facility Site Visit Form (Attachment 1 to the SOP document) must be filled out by each individual planning to attend. This form must be emailed along with the response to the PEO STRI POC and the appropriate 160th SOAR(A) POC identified at the bottom of the form. All Personally Identifiable Information disclosed shall be handled in accordance with The Privacy Act of 1974. As part of this response vendors must request if they would like a one-on-one session with the Government to discuss specifics generated from the SOF TEAMS II draft solicitation and requirements documentation attached as part of this special announcement. All interested vendors are encouraged to attend and may request a one-on-one session and will be schedule on a first-come-first-serve basis on May 30th from the hours (0900 – 1700). One-On-One Sessions will not exceed 45 minute in length. If a One-On-One Session is requested, then a vendor/team may not exceed the number allowable for the Presolicitation Conference. If teaming arrangements have been made and the team wishes to consolidate its One-On-One Sessions, they may do so but will not be allowed more than the 45 minute time period. Attendees must be US Citizens or permanent resident aliens. DISCLAIMER: This notice does not constitute an invitation for bids or a Request for Proposal (RFP) and is not a commitment by the U.S. Government to procure subject products or services nor will the Government reimburse any parties for costs associated with this request. Additionally, a completed Simulation Facility Site Visit Form must be filled out by each individual planning to attend. This form must be emailed along with the response to the PEO STRI POC and the appropriate 160th SOAR(A) POC identified at the bottom of the form. All Personally Identifiable Information disclosed shall be handled in accordance with The Privacy Act of 1974. As part of this response vendors must request if they would like a one-on-one session with the Government to discuss specifics generated from the SOF TEAMS II draft solicitation and requirements documentation attached as part of this special announcement. All interested vendors are encouraged to attend and may request a one-on-one session and will be schedule on a first-come-first-serve basis on May 30th from the hours (0800 – 1900). One-On-One Sessions will not exceed 45 minute in length. This announcement is in reference to the Special Operation Forces Training, Engineering and Maintenance Support II (SOFT TEAMS II) Presolicitation Conference/ Site Visit discussions that occurred on 28-29 May 2013 at Fort Campbell, KY, see Attachment 1 (Presolicitation Conference Slides). Vendors were permitted to bring up to two attendees, please see Attachment 2 (Presolicitation Conference Sign In Sheet). The Government intends to remove the requirement of the Nondisplacement of Qualified Workers Clause FAR 52.222-17 for this effort due to the fact that the Service Contract Act is not applicable to this effort. The Request for Proposal (RFP) will be tentatively released mid July 2013. This announcement is in reference to the Special Operation Forces Training, Engineering and Maintenance Support II (SOFT TEAMS II) Presolicitation Conference/ Site Visit discussions that occurred on 28-29 May 2013 at Fort Campbell, KY, see Attachment 1 (Presolicitation Conference Slides). Vendors were permitted to bring up to two attendees, please see Attachment 2 (Presolicitation Conference Sign In Sheet). The Government intends to remove the requirement of the Nondisplacement of Qualified Workers Clause FAR 52.222-17 for this effort due to the fact that the Service Contract Act is not applicable to this effort. The Request for Proposal(RFP) will be tentatively released mid July 2013. Please see the URL link for Attachment 1-(Presolicitation Conference Slides) and Attachment 2-(Presolicitation Conference Sign In Sheet). R–PASS-SB Questions & Answers 28 June 2013 attachment W15QKN13R0183 063013 Julie Cameron, 609-562-7026 ACC – New Jersey The U.S. Army Contracting Command (ACC)-New Jersey located at Fort Dix, NJ 08640, on behalf of the Naval Air Systems Command (NAVAIR) 6.8 Corporate Business Office (CBO), intends to procure Programs and Systems Support-Small Business (PASS-SB) services to include the Department of Defense (DoD) Decision Support System that ensures effective interaction between Joint Capabilities Integration and Development System (JCIDS), the Acquisition System, and Planning, Programming, Budgeting, and Execution (PPBE) processes. The CBO supports all DoD Commands, Agencies, Field Activities, all other organizational DoD entities, including Medical, and their partners, United States Coast Guard (USCG) and the National Aeronautics and Space Administration (NASA). CBO facilitates lessons learned across the DoD and its partners, USCG, and NASA and provides acquisition, implementation, and sustainment product/services for all DoD Commands, Agencies, Field Activities, all other organizational DoD entities (including Medical) and their partners. Services will provide for total integrated life cycle management activities for Project, Program and Portfolio (PPP) Management; Business, Cost Estimating and Financial Management; Systems Engineering; Business Analytics; Information Technology; Facilitation, Education and Training; andTechnical Editor, Writing and Illustration including efforts required for moving to an enterprise-wide, life cycle alignment of resources and outputs to achieve top-down performance driven outcomes for all DoD Commands, Agencies, Field Activities, all other organizational DoD entities, including Medical, and their partners for both CONUS / OCONUS sites. Foreign Military Sales (FMS) services are also included. Place of performance will vary for each Task Order (TO) to include all DoD and partnering sites, both CONUS and OCONUS. This sources sought announcement is for information and planning purposes only; it is not to be construed as a commitment by the Government. A contract may not be awarded as a result of this sources sought announcement. Solicitation Number W15QKN-13-R-0183 has been assigned for informational and planning purposes. All information submitted to the below referenced points of contacts (POCs) must reference the solicitation number. It is anticipated that the Government will award approximately ten Indefinite Delivery Indefinite Quantity (IDIQ) multiple award contracts (MACs). This requirement will be met through full and open competitive proceduresutilizing the best value tradeoff process in accordance with Federal Acquisition Regulation (FAR) Part 15. Once the basic IDIQ MACs have been awarded, fair opportunity for each requirement/order will be provided to all MAC holders IAW FAR 16.505(b). Orders may be issued anytime within the ordering period of the proposed contract on a Firm Fixed Price (FFP), Cost Plus Fixed Fee and Cost Reimbursement (no fee) basis. The anticipated period of performance for this effort shall be a twelve month base period and four-twelve month ordering periods. The proposed acquisition will commence on/about 31 December 2013. The highest security levels that may be required by the Prime Contractor to perform on individual TOs under this contract are a TOP SECRET Facility Clearance with a TOP SECRET safeguarding capability. All Labor Categories shall require up to a TOP SECRET Security clearance. For purposes of capability statement submissions, clearance levels are to be documented on the attached Personnel Availability Table. The security requirements for the basic contract will be defined in the DD Form 254 of the solicitation/contract. Each individual TO will be issued a separate DD 254 identifying the specific security requirements for the Task Order. This is a Small Business Sources Sought notice. The purpose of this notice is to obtain information regarding: (1) the availability and capability of qualified small business sources; (2) whether they are small businesses; HUBZone small businesses; service-disabled, veteran-owned small businesses; 8(a) small businesses; veteran-owned small businesses; woman-owned small businesses; or small disadvantaged businesses; and (3) their size classification relative to the North American Industry Classification System (NAICS) code for the proposed acquisition. Your responses to the information requested will assist the Government in determining the appropriate acquisition method, including whether a set-aside is possible. Interested small business concerns that are qualified as a small business concern under the NAICS 541330, with a size standard of $35.5M are encouraged to submit their capability packages and should identify their company’s small business size standard based on that code. An organization that is not considered a small business under the applicable NAICS code should not submit a response to this notice. In addition to this effort that is set aside for small businesses, the NAVAIR 6.8 CBO intends to procure an unrestricted IDIQ contract entitled quote mark PASS quote mark in conjunction with PASS-SB. The similar PWS’ are differentiated by task areas. All potential acquisition requirements will be assessed for placement under the PASS or PASS-SB MAC vehicles. Task Order placement procedures will be executed in accordance with FAR 16.505, and will be contained in the PASS and PASS-SB solicitations and resulting contracts. Some factors that will be considered for TO placement may include, but not be limited to estimated dollar amounts, contract types, complexity of the effort (services involving major weapons systems; aircraft systems, system/software integration efforts, etc. ), number of personnel (full-time equivalents), level of integration, and/or multiple CONUS/OCONUS locations. (1) Company profile to include: company name, company address, points-of-contact information including name, phone number, fax number and e-mail address, number of employees, annual revenue history, office location, CAGE code, DUNS number, and a statement regarding ISO 9001 certification and current business size status under associated NAICS codes. (2) Prior/current DoD corporate experience performing efforts of similar size and scope within the last three years, including contract number, organization supported, indication of whether as a prime or subcontractor, contract value, Government point of contact, and a brief description of the specific task areas in the referenced contract as it relates to the services described in the PASS-SB PWS. (3) Describe experience and capabilities in regards to your company’s ability to manage DoD tasks of this nature and size. In your response, provide details of your management plan for ensuring the resultant contract would be staffed with qualified personnel. Staffing plan should address current hires available for assignment, possible subcontracting/teaming arrangements, and strategy (contingency hires) for recruiting and retaining qualified personnel. In addition, the attached Personnel Availability table should be completed to demonstrate the ability to staff this effort. Information within this table should be completed for each available candidate. A minimum of three candidates should be presented for each major PWS task area(s). NOTE: It is anticipated that an Industry Day will be held in the July 2013 timeframe for both the PASS and PASS SB potential acquisitions. Any information regarding the PASS and PASS SB Industry Day, comments, questions, etc. will be posted to Army Single Face to Industry/Federal Business Opportunities Page (ASFI/FEDBIZOPPS), and it is recommended that all Contractors continuously monitor the website. In addition, a list of all respondents to the sources sought notice/market research will be provided and posted on the FEDBIZOPPS so that potential offerors may consider subcontracting possibilities, teaming arrangements, and/or joint ventures. 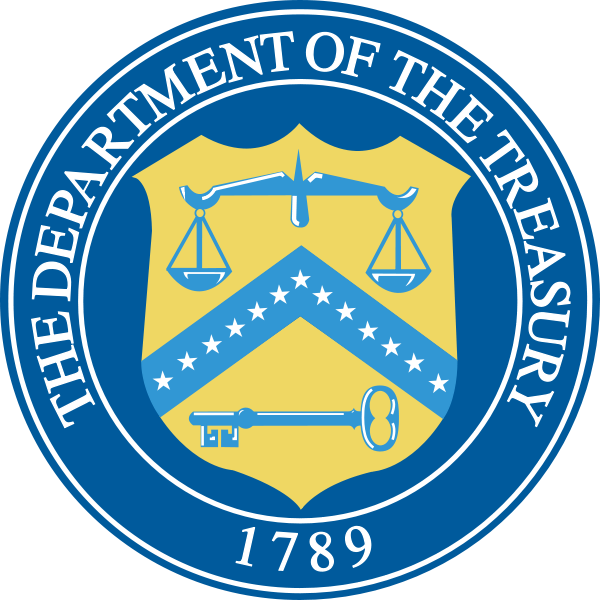 Contractors are advised that the Office of the Under Secretary of Defense has issued a Class Deviation 2012-O0012, dated 31 July 2012, for limitation on amounts available for contracted services. 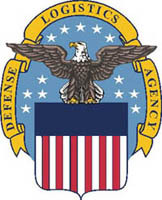 The deviation implements the Deputy Secretary of Defense memorandum quote mark Guidance for Limitation on Aggregate Annual Amount Available for Contracted Services quote mark dated 03 June 2012, and paragraphs (c)(1) and (c)(2) of section 808 of the National Defense Authorization Act for Fiscal Year 2012. Section 808 limits the amount of funds the Department may obligate for contract services in Fiscal Years (FYs) 2012 and 2013. 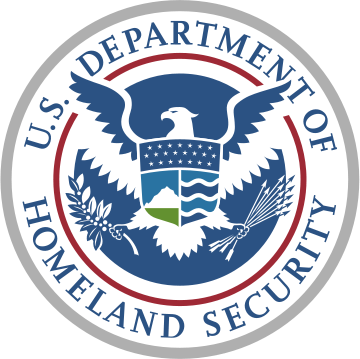 This class deviation is currently in effect for FY 2013; however, potential offerors are cautioned that this policy may be updated to include FY 2014 and beyond. Additionally, Contractors are further advised that the Commander, Naval Air Systems Command has issued policy and guidance for Knowledge Based Services (KBS) and Logistics Management Services (LMS) contracting. NAVAIR has focused upon KBS and LMS type service contracting and has outlined tripwires as tools to improve visibility and ensure accountability. NAVAIR has determined that there are six functional areas that are primarily utilized in KBS and LMS acquisitions: program management, engineering, information technology, logistics, business, and administrative. The fully burdened functional area labor rate tripwires are attached to this notice. Contractors are advised that these fully burdened labor rate tripwires are for NAVAIR requirements only and that approval must be obtained by NAVAIR to exceed the tripwire rates. Proprietary information and trade secrets, if any, must be clearly marked on all materials. All information received that is marked Proprietary will be handled accordingly. Please be advised that all submissions become Government property and will not be returned. All Government personnel reviewing Requests For Information responses will have signed non-disclosure agreements and understand their responsibility for proper use and protection from unauthorized disclosure of proprietary information as described in 41 USC 423. The Government shall not be held liable for any damages incurred if proprietary information is not properly identified. Although all comments received will be carefully reviewed and considered for inclusion in any possible later action, the Government will make no commitment to include any particular recommendations. Respondents to this Sources Sought Notice will not be notified of the results of the review. Contractors are responsible for all costs for submitting their capability packages. The PASS-SB requirements and acquisition strategy as stated in this notice may be subject to change as the acquisition evolves. The POCs for this PASS-SB requirement are the Contracting Officer, Torrence Trappier at Torrence.trappier.civ@mail.mil (609-562-6486), and the Contract Specialist, Julie Cameron at julie.a.cameron.civ@mail.mil (609-562-7026). All capability packages and PWS information/comments from Industry ON THE PASS-SB ACQUISITIION ONLY must be electronically submitted to the PASS-SB POCs by 30 June 2013 by 6:00 PM EST. Contractors are advised that the information submitted to the POCS must be UNCLASSIFIED responses to this notice. U–The Naval Sea Logistics Center (NAVSEALOGCEN) requires a two (2) day Technical Writing training course to be provided at NAVSEALOGCEN, Mechanicsburg. N6572613T0110 070913 Andrew Clarke 717-605-1411 andrew.r.clarke@navy.mil The Naval Sea Logistics Center (NAVSEALOGCEN) requires a two (2) day Technical Writing training course to be provided at NAVSEALOGCEN, Mechanicsburg. The class size is being limited to fifteen (15) students. Technical Writing Course – Overview of course objectives, content, and logistics. Explanation of course materials including handouts, desk guides, exercises, etc. Review the technical writing process using clear and to the point writing. Review writing process and how to increase document effectiveness. Review how to gather information efficiently and eliminate unnecessary information. Review diplomatic writing techniques and organizing technical documentation. Review technical grammar including, proper punctuation, spelling, correct grammar, clear sentences, and proof reading. Training content will be provided in short sessions with follow-up writing exercises. Review day-to-day sample writing and complete customized writing exercises. Schedule one-to-one consultations, if requested by NAVSEALOGCEN. CDRLs and Sections Renumbered W15QKN13R0183 063013 Julie Cameron, 609-562-7026 ACC – New Jersey The U.S. Army Contracting Command (ACC)-New Jersey located at Fort Dix, NJ 08640, on behalf of the Naval Air Systems Command (NAVAIR) 6.8 Corporate Business Office (CBO), intends to procure Programs and Systems Support-Small Business (PASS-SB) services to include the Department of Defense (DoD) Decision Support System that ensures effective interaction between Joint Capabilities Integration and Development System (JCIDS), the Acquisition System, and Planning, Programming, Budgeting, and Execution (PPBE) processes. The CBO supports all DoD Commands, Agencies, Field Activities, all other organizational DoD entities, including Medical, and their partners, United States Coast Guard (USCG) and the National Aeronautics and Space Administration (NASA). CBO facilitates lessons learned across the DoD and its partners, USCG, and NASA and provides acquisition, implementation, and sustainment product/services for all DoD Commands, Agencies, Field Activities, all other organizational DoD entities (including Medical) and their partners. Services will provide for total integrated life cycle management activities for Project, Program and Portfolio (PPP) Management; Business, Cost Estimating and Financial Management; Systems Engineering; Business Analytics; Information Technology; Facilitation, Education and Training; and Technical Editor,Writing and Illustration including efforts required for moving to an enterprise-wide, life cycle alignment of resources and outputs to achieve top-down performance driven outcomes for all DoD Commands, Agencies, Field Activities, all other organizational DoD entities, including Medical, and their partners for both CONUS / OCONUS sites. Foreign Military Sales (FMS) services are also included. Place of performance will vary for each Task Order (TO) to include all DoD and partnering sites, both CONUS and OCONUS. It is anticipated that the Government will award approximately ten Indefinite Delivery Indefinite Quantity (IDIQ) multiple award contracts (MACs). This requirement will be met through full and open competitive procedures utilizing the best value tradeoff process in accordance with Federal Acquisition Regulation (FAR) Part 15. Once the basic IDIQ MACs have been awarded, fair opportunity for each requirement/order will be provided to all MAC holders IAW FAR 16.505(b). Orders may be issued anytime within the ordering period of the proposed contract on a Firm Fixed Price (FFP), Cost Plus Fixed Fee and Cost Reimbursement (no fee) basis. The anticipated period of performance for this effort shall be a twelve month base period and four-twelve month ordering periods. The proposed acquisition will commence on/about 31 December 2013. The highest security levels that may be required by the Prime Contractor to perform on individual TOs under this contract are a TOP SECRET Facility Clearance with a TOP SECRET safeguarding capability. All Labor Categories shall require up to a TOP SECRET Security clearance. For purposes of capability statement submissions, clearance levels are to be documented on the attached Personnel Availability Table. The security requirements for the basic contract will be defined in the DD Form 254 of the solicitation/contract. Each individual TO will be issued a separate DD 254 identifying the specific security requirements for the Task Order. R — C-Print and Sign Language Interpretation Services W-3-W2-24-SC-A09-000 070313 Ricky Bankston , Contract Specialist, Phone 4043389223, Fax 4043389231, Email Ricky.Bankston@irs.gov – Brian Leo, Contract Specialist, Phone 404-338-9224, Fax 404-338-9231, Email brian.j.leo@irs.gov This is a combined synopsis/solicitation for on site C-Print and Sign Language Interpretation Services in accordance with the format in Subpart 12.6, as supplemented with additional information included in this notice. This announcement constitutes the only solicitation; proposals are being requested and a written solicitation will not be issued. This will be a 14 month contract with the period of performance from: July 10, 2013 to: September 30, 2014. Solicitation number W-2-W2-24-SC-A09-000 is being issued as a request for quotation. FY13 ends September 30, 2013. FY14 ends September 30, 2014. The solicitation document and incorporated provisions and clauses are those in effect through Federal Acquisition Circular FAC 2005-67, effective June 21, 2013. This requirement is set-aside totally for small business concerns. The associated NAICS code and small business size standard are 541930 and 500 employees respectively. Quote Response Date: July 03, 2013 @ 4:00p.m. Submit all quotes to the IRS Primary Point of Contact, Ricky Bankston @ Ricky.Bankston@irs.gov Item Description: See the ATTACHED for complete line item statement of work of the requirement. Final award will be based on price and experience. R–Environmental Service Contract for HAZMAT Management, Water Quality and Waste Water Services, Misawa Air Base, Japan W912HV-13-R-0017 071513 Martha.L.Jackson, 046 407 8724 USACE District, Japan This is a SOURCES SOUGHT NOTICE for market research purposes only to determine the availability of potential firms who can perform requested services. Information will be used for preliminary planning purposes. This is not a solicitation for proposals. Potential Offerors having the skill, capabilities and personnel necessary to perform the described project are invited to submit a Capability Statement Form (see Attachment A). All responses will be used to determine the appropriate acquisition strategy for a potential solicitation forthcoming. Pre-solicitation advertising is planned for this project in July 2013. The NAICS Code is 541620 (Environmental Consulting Services) and the duration of this project is 12 months (365 days). The U.S. Army Engineer District – Japan anticipates issuing a Request for Proposal (RFP) and awarding an environmental service contract to provide a full range of Advisory and Assistance Services (A&AS) and deliverables in support of the 35th Civil Engineer Squadron Environmental Management Office (35 CES/CEAN) at Misawa Air Base, Japan. 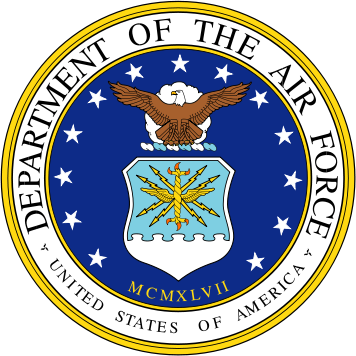 During the period of performance of 365 days the tasks to be accomplished shall consist of three (3) A&AS categories reflecting the specific support required at Misawa Air Base, Japan: (1) Management and Professional Services; (2) Studies, Analyses, and Evaluations; and (3) Engineering andTechnical Expertise. Consistent with the Status of Forces Agreement between the United States and Japan, only local sources in Japan will be considered under this solicitation. Local sources are entities or organizations, for example, corporations or partnerships, that are physically located in Japan and authorized (i.e., licensed, registered, etc.) to perform work in Japan, as specified below (Project Description). The Contractor shall provide technical support to assist 35 CES/CEAN to manage and oversee all Hazardous Material (HAZMAT), Spill Response, Water Quality and Wastewater services. Qualified personnel to provide the required specialized services must have extensive, previous experience in working with the US Air Force’s water related and environmental compliance programs which include but, not limited to Environmental Safety and Occupational Health Compliance Assessment and Management Program (ESOHCAMP); Enterprise Environmental Safety and Occupational Health Management Information System (EESOH-MIS); Hazardous Materials Management Plan (HMMP); Spill Prevention Control and Countermeasures (SPCC) plan; Facility Response Plan (FRP); Storm Water Pollution Prevention Plan (SWPPP); Storm Water Management Plan (SWMP); Integrated Contingency Plans (ICP); Erosion and Sediment Control plan; Pretreatment plan and Risk Management Plans (RMP); and Water/Wastewater monitoring and sampling programs. Contractor duties shall include but, not be limited to reviewing and updating base HAZMAT/Spill/Water/Wastewater plans and making remediation recommendations to the government; ensuring those plans are being implemented at the installation level; performing or overseeing site investigations, facility and equipment inspections; determining appropriate level of training for designated HAZMAT and Spills/Water personnel; conducting training for shop personnel; performing QA/QC oversight of field activities including review of other contractor’s field activities, data management and record keeping; overseeing samplings and testing,writing scopes of work to initiate surveys and updates of management plans; attending and facilitating meetings and briefs; providing status reports of ongoing projects and programs; and providing deliverables to assist the government in maintaining compliance with all the related environmental programs. Contractor personnel must be able to work extensively with the Japan Environmental Governing Standards (JEGS) and Japanese authorities on local/regional environmental settings, parameters and procedures. Contractor shall provide professional personnel who can fluently speak and effectively communicate (verbally and in writing) technical issues in English and possess the necessary technical skills to complete the tasks assigned in a timely manner to ensure Misawa AB stays in compliance with Air Force’s, Environmental Safety, and Occupational Health Compliance Assessment and Management Program (ESOHCAMP), Spill Response, Hazardous Material, Water Quality and Wastewater Programs. Contractor shall comply (mandatory) with the Japanese Environmental Governing Standards; Japanese national or local environmental laws and regulations; United States (U.S.) environmental laws and regulations and/or DoD policy and instructions and all other requirements of the contract. All interested Contractors/Offerors are requested to furnish responses/comments on the questions listed in the attached Capability Statement Form. If you have no comment to a particular question, please indicate quote mark no comment quote mark in the appropriate space. Capability Statement Form for this sources sought synopsis is not a Request for Proposal, nor does it restrict the Government to an ultimate acquisition approach. The Government is seeking short statements and information regarding a company’s ability to demonstrate existing-or-developed expertise, past performance, and experience in relation to the areas specified herein. Submission of the Capability Statement Forms to include any additional information (i.e., fact sheets, brochures, market materials) cannot exceed a total of 10 pages (single, one-sided). Submission of Capability Statement is not a prerequisite to any potential future offerings, but participation will assist the Corps of Engineers in tailoring requirements to be consistent with industry capabilities. This Sources Sought is for information and planning purposes only and is not to be construed as a commitment by the Government. The Government will not pay for any information or materials provided in response to this Sources Sought Notice and submittals will not be returned to the sender. If a solicitation is later released it will be synopsized in FedBizOps only, the FedBizOps link is: http://www.fbo.gov. Contractors are encouraged to register on FedBizOps with the NAICS code related to this posting (541620) and for other business opportunities. Once your company is registered, FedBizOps, will automatically send you e-mails related to the NAICS codes you registered your company. Respondents will not be notified of the results of the sources sought survey since this posting is strictly to gather fact-finding information for the Government’s use only. Please send the completed Capability Statement Form (all pages) with any additional information (optional) via e-mail to Contract Specialist, Martha Jackson no later than July 15, 2013 at email address: Martha.L.Jackson.civ@usace.army.mil or commercial fax to 046-253-8749, Attention: Martha Jackson. THIS IS A SOURCES SOUGHT NOTICE ONLY. THIS SYNOPSIS IS NOT A REQUEST FOR PROPOSAL. A sources sought is a market research tool being used to determine availability and adequacy of potential business sources prior to determining the method of acquisition. The intent of this sources sought synopsis is to identify qualified 8(a) business, woman owned, HUBZone, or service disabled veteran owned small business concerns for an Firm-Fixed Price, Indefinite Delivery Indefinite Quantity (IDIQ) Contract for RCRA Hazardous, State-Regulated, PCBs, CGCs and Non- Hazardous Waste Transportation and Disposal under the DLA Disposition Services Knox/Campbell/Columbus offices which covers a 4 state area (Kentucky, Tennessee, Ohio and West Virginia) with approximately 289 pickup locations, including large installations and small National Guard and military reserve installations. The scope of work includes all management, supervision, labor, engineering services, tools, materials, equipment, supplies, facilities, and transportation necessary to perform the required services including, but not limited to the following: Polychlorinated Biphenyl transformer and capacitor disposal and other PCB contaminated waste; Compressed Gas Cylinders. Upon review of industry response to this Sources Sought Synopsis, the Government will determine whether a further set-aside acquisition in lieu of a small business only set-aside is in the Government’s best interest. The Government intends to solicit and award a Firm-Fixed Priced IDIQ Services Contract. The NAICS Code is 562211. The duration of the contract is anticipated to be for one (1) eighteen (18) month base period from the date of an initial contract award and will include two (2) eighteen month options. A response to this sources sought synopsis will not be considered an adequate response to any forthcoming solicitation announcement. A response to this sources sought synopsis will not result in your firm’s name being added to a plan holder’s list to receive a copy of a solicitation. THERE IS NO SOLICITATION AVAILABLE AT THIS TIME. The submittal package must be received at the office no later than 2:00 p.m. EST on Thursday, July 25,2013. Electronic submissions of the Statement of Capabilities Packages can be sent electronically to cathy.keith@dla.mil or scott.micklewright@dla.mil. LATE RESPONSES WILL NOT BE ACCEPTED. The Government WILL NOT provide a debriefing on the results of the survey. All information submitted will be held in a confidential manner and will only be used for the purpose intended. Points of contact listed may be contacted for purpose of verifying performance. Point of Contact: Cathy Keith, Contracting Officer, Phone 269-961-7008, Fax 269-961-4417, Email cathy .keith@dla.mil . 99 — Ballistic Protection H92244-13-T-0244 072213 Josephine Ocampo, Phone 757-862-9470, Fax 757-862-0809, Email josephine.ocampo@vb.socom.mil This is a combined synopsis/solicitation for CommercialItems in accordance with the format prescribed in Subpart 12.6, as supplemented with additional information included in this notice. This announcement constitutes the only solicitation; proposals are requested and a written solicitation will not be issued. The solicitation is being issued as a Request for Quote (RFQ); solicitation number is H92244-13-T-0244, and a firm fixed price contract is contemplated. All responsible sources may submit a quote which shall be considered by the agency. The solicitation document and incorporated provisions and clauses are those in effect through Federal Acquisition Circular 2005-66 effective 1 Apr’13. This procurement is 100% small business set-aside and the associated North American Industry Classification System (NAICS) code is 339999 with a business size standard of 500 employees. The DPAS rating for this procurement is DO-C9. Site visit is scheduled on 1 Jul’13 at 10:00 a.m. Interested parties must submit their name, company name, social security number, date of birth, place of birth, and race by 26 Jun’13 at 1 pm. EST to Jo Ocampo via email at josephine.ocampo@vb.socom.mil, please call me back at 757-862-9470 to confirm receipt of your visitor request information. (i) Technical – Offeror shall provide a full technical proposal with drawings to demonstrate that the items being proposed meet the requirements identified in Section C Statement of Work. The Government may require the delivery of the numbered line item, identified in the Schedule as an option item, in the quantity and at the price stated in the Schedule. The Contracting Officer may exercise the option by written notice to the Contractor within 10 days. Delivery of added items shall continue at the same rate that like items are called for under the contract, unless the parties otherwise agree. 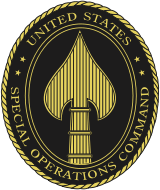 (d) The Contractor further understands that Title 18 USC Section 701 specifically prohibits the use of the USSOCOM emblem or logo in any medium (e.g., corporate website, marketing brochure, newspaper, magazine, etc.) unless authorized in writing by USSOCOM. Forward any request to use the USSOCOM emblem or logo through the Contracting Officer. U–FY13 VA-13-0001434 Student Veteran Education and Employment Programming and Personnel (SVEEPP)” VA11813I0417 Michael Palutis Contract Specialist 732-440-9686 michael.palutis@va.gov This Request for Information (RFI) is for information and planning purposes only and does not constitute a solicitation nor does it restrict the Government as to the ultimate acquisition approach. In accordance with FAR 15.201(e), responses to this notice are not offers and cannot be accepted by the Government to form a binding contract. The purpose of this RFI is to identify qualified contractors, who are able to meet VA’s requirements for the Student Veteran Education and Employment Programming Personnel (SVEEPP). VA requires a comprehensive program, inclusive of multiple services, that will improve veterans’ transitions from the military, through post-secondary education, and into gainful employment. As a part of the developmental process, the program will be temporarily implemented for a short-term pilot period that will not exceed 12 months. The pilot phase will allow the contractor to evaluate program effectiveness and make subsequent revisions based on stakeholder feedback. Once such changes are completed, the resulting program will serve as the model for possible larger dissemination to other post-secondary educational institutions. Services beyond the pilot period will not be funded as part of this contract. The project supports the missions of several entities. The Veterans Benefits Administration: Vocational Rehabilitation and Employment (VR&E) aims to assist Veterans with service-connected disabilities in two major life areas: education and employment. The Veterans Health Administration aims to improve the long-term health and wellness of all Veterans. Post-secondary institutions across the nation aim to provide students quality education and preparation for post-graduation employment. The Contractor shall also provide sufficient program management services to manage and deliver service levels that minimize solution deliver times, costs and problems and consistently deliver quality products to meet business requirements. If interested, please submit a Capabilities Statement, limited to 15 pages for your company, your teammates and or subcontractors and also denote the business size for North American Industry Classification System (NAICS) Code 611710. Also, please indicate if you, your teammates and/or subcontractors are a service-disabled Veteran- owned small business or a Veteran-owned small business. The Draft PWS is attached. 1) Please describe your current capability in managing projects of similar scale and complexity as that outlined in the PWS. Please include a listing of projects of comparable scale and complexity that your company has previously managed, and any contact information of references associated with these projects, websites describing these projects, and/or documents identifying your company as the provider project management for these projects. 2) Please describe your company’s current qualifications in the specific subject matter addressed by this project (e.g. military/veteran culture, couple and family issues and interventions specific to a veteran population, career development specific to a military population, employer development specific to a veteran population). 3) Please list your qualifications and experience with regard to scientific and/or technical writing (e.g. published, peer-reviewed scientific works or published technical manuals used in the facilitation of educational workshops and/or seminars). Please also provide a sample of one such publication. Any evidence of the effectiveness of these materials is also greatly appreciated. 4) Please describe your company’s current capabilities associated with designing an evaluation process capable of capturing project metrics specified in the provided metrics document. Please also address your company’s current qualifications for/experience with collecting and analyzing the necessary data associated with this project. Please provide as much detail on methodology as possible, and any information on past performance in this area would also be appreciated. 5) Based on your review of the PWS, what is your rough order of magnitude of the effort? Responses are requested no later than 3PM EST on May 28, 2013, via e-mail to michael.palutis@va.gov. R–Program Management, Planning, Project Management, Construction Management and Technical Support NAVFAC Southwest, San Diego, California N6247313R2618 Khay Esguerra 619-532-4461 Richard Lovering, 619-532-1219. This notice does NOT constitute a request for proposal, request for quote, or invitation for bid. 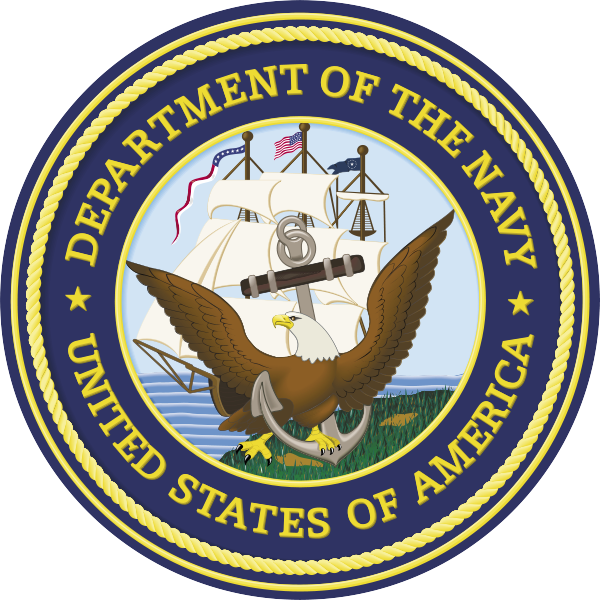 The intent of this notice is to publicize the 8(a) set-aside competitive award of contract support services for Naval Facilities Engineering Command Southwest (NAVFAC SW). The general scope of this requirement is to provide assistance to the Government for program management, project management, planning, design, scheduling, cost estimating, and construction management for projects to support the Navy, Marine Corps, and Air Force clients within the NAVFAC SW Area of Responsibility (AOR) (California, Arizona, Utah, New Mexico, Nevada, and Colorado), as described in the attached Performance Work Statement (PWS). There will be thirteen different types of positions: Design Manager Contractor Support, Project Manager Contractor Support, Planning and Engineering Contractor Support, Planning and Engineering Technician Contractor Support, Planner Contractor Support, Construction Manager Contractor Support, Engineering Technician Contractor Support, Field Support Contractor Support, NEPA Specialist Contractor Support, Environmental Compliance Specialist Contractor Support, Natural Resource Specialist Contractor Support, Hazardous Waste Program Manager Contractor Support, Environmental Protection Specialist Contractor Support, and Technical Specifications Writer Contractor Support. This procurement is limited to qualifying SBA 8(a) firms. The Government will not consider offers from other than 8(a) firms. The procurement method will be contracting by negotiation. The North American Industry Classification System (NAICS) Code is 561320, Temporary Services with a Small Business Size Standard of $22.5 million. The Government will give fair consideration to all awardees in placing orders based on criteria stated in the solicitation. The anticipated period of performance is for a base and three (3) option periods, for a total of 36 months. The base period is planned as one month and the option periods approximately one year each. This contract will replace contracts for similar services awarded from 2008 through the present for approximately $10 million per year. Information about the current contracts and the incumbent contractor (e.g., value of last option exercised, firm name, address, etc.) will be included in the solicitation package. Requests under the Freedom of Information Act are not required for this information. All pre-award activities will be processed through NECO. The solicitation number is N62473-13-R-2618. The estimated solicitation date is July 8, 2013. Offerors can view and/or download the solicitation, and any attachments, at https://www.neco.navy.mil/ when it becomes available. The main POC for this requirement is Khay Esguerra at kennette.esguerra@navy.mil. 69 — BREACH PANELS H92240-13-T-TC13 062813 Patricia Cresswell, Phone 757-763-2440, Fax 757-462-2434, Email trisha.cresswell@navsoc.socom.mil This is a combined synopsis solicitation for commercialitems prepared in accordance with the format in subpart 12.6, as supplemented with additional information included in this notice. This announcement constitutes the only solicitation; quotes are being requested and a written solicitation will not be issued. Solicitation H92240-13-T-TC13 is issued as a request for quotation (RFQ). This is notice Naval Special Warfare Command, Contracting Office, Joint Expeditionary Base (JEB) Little Creek/Ft Story, Virginia Beach, VA 23459 intends to award a firm fixed price contract. The associated NAICS code is 327390 and the Small Business Size Standard is 500. This requirement is 100% set aside for small business. Only written questions regarding this announcement will be accepted. All questions regarding this solicitation shall be submitted electronically to Trisha Cresswell, email: trisha.cresswell@navsoc.socom.mil no later than June 21, 2013 at 12:00pm Eastern time to provide adequate time to prepare a response. Potential quoters must monitor this website for changes to the combined synopsis/solicitation. Amendments to the combined synopsis/solicitation will be posted to this website. This contract will consist of a base requirement with two (2) option years. The Government will pick-up breach panels within a twenty (20) mile radius of Ft. Chaffee, AK 72905. Outside this radius quote FOB destination. CLIN 1001: 36 each: Breach Panel: Specification: 7′ x 7′ x 3.50″ thick with 4,000 psi concrete with a smooth finish on both sides. There will be a &frac34;” chamfered edge all the way around the outside of the wall on both sides, the center will be free of all metal approximately 3.5′ square. There is a cage fabricated from #4 rebar and two pieces of 6 x 6 w1.4 x w1.4 welded wire fabric tied or welded to the rebar, there is two pieces of #4 rebar down each side, two pieces across the bottom and two pieces across the top all evenly spaced with a piece centered top and bottom to keep the rebar from distorting. A diagram of the rebar/welded wire fabric is being provided (attachment) with the total outside dimensions being 6’6″ square. In the center top of the wall will be one (1) 3/8 wire rope lifting loop to extend 6″above the outside edge and will have a pre-engineered rating of 4,000lb or greater, this loop will be tied back to the inner part of the rebar/wire cage and embedded in concrete. The concrete plant must be NPCA certified. Provide copy of certification with quote. CLIN 2001 (option): 36 each: 7′ x 7’x 3.50″ thick concrete reinforced breach panels: description same as above; Delivery to be determined in year 2014. CLIN 3001: (option): 36 each: 7′ x 7’x 3.50″ thick concrete reinforced breach panels; description same as above. Delivery to be determined in year 2015. The solicitation document and incorporated provisions and clauses are those in effect through Federal Acquisition Circular 2005-66, effective 01 Apr 2013. The System for Award Management (SAM) is a FREE web site that consolidates the capabilities that used to be found in CCR/FedReg, ORCA and EPLS. The Government will award a contract resulting from this solicitation to the responsible offeror whose offer conforming to the solicitation will be most advantageous to the Government based on the lowest priced technically acceptable proposal. The following provisions and clauses apply to this acquisition: It is the offeror’s responsibility to be familiar with the applicable clauses and provisions. Clauses and provisions in full text may be accessed via the Internet at website http://farsite.hill.af.mil. Except when it is determined in accordance with FAR 17.206(b) not to be in the Government’s best interests, the Government will evaluate offers for award purposes by adding the total price for all options to the total price for the basic requirement. Evaluation of options will not obligate the Government to exercise the option(s). (a) The Government may extend the term of this contract by written notice to the Contractor within 60 days; provided that the Government gives the Contractor a preliminary written notice of its intent to extend at least 60 days. The preliminary notice does not commit the Government to an extension. The Government may increase the quantity of supplies called for in the Schedule at the unit price specified. The Contracting Officer may exercise the option by written notice to the Contractor within 30 days Delivery of the added items shall continue at the same rate as the like items called for under the contract, unless the parties otherwise agree. All questions concerning this procurement, either technical or contractual must be submitted in writing to the Contracting Office. No direct discussion between the technical representative and a prospective offeror will be conducted unless it is deemed necessary by the Contracting Officer. Quotations are due no later than 28 June 2013 at 12:00 pm Eastern time. Email: trisha.cresswell@navsoc.socom.mil; or fax 757-462-2434. 99 — Spill and Heat Protection Supplies H92244-13-T-0243 062813 Josephine Ocampo, Phone 757-862-9470, Fax 757-862-0809, Email josephine.ocampo@vb.socom.mil This is a combined synopsis/solicitation forCommercial Items in accordance with the format prescribed in Subpart 12.6, as supplemented with additional information included in this notice. This announcement constitutes the only solicitation; proposals are requested and a written solicitation will not be issued. The solicitation is being issued as a Request for Quote (RFQ); solicitation number is H92244-13-T-0243, and a firm fixed price contract is contemplated. All responsible sources may submit a quote which shall be considered by the agency. The solicitation document and incorporated provisions and clauses are those in effect through Federal Acquisition Circular 2005-66 effective 01 Apr’13. Please see attached Extended Description and Specifications for Spill Mitigation and Heat Protection Supplies. (a) The Government will award a contract resulting from this solicitation to the responsible offeror whose offer conforming to the solicitation will be most advantageous to the Government, price and other factors considered. The following factors shall be used to evaluate offers in descending order of importance Technical capability and price. Government will award this contract based on best value to the government. industry questions to date. W15QKN-13-R-0183 062713 Julie Cameron, 609-562-7026 ACC – New Jersey The U.S. Army Contracting Command (ACC)-New Jersey located at Fort Dix, NJ 08640, on behalf of the Naval Air Systems Command (NAVAIR) 6.8 Corporate Business Office (CBO), intends to procure Programs and Systems Support-Small Business (PASS-SB) services to include the Department of Defense (DoD) Decision Support System that ensures effective interaction between Joint Capabilities Integration and Development System (JCIDS), the Acquisition System, and Planning, Programming, Budgeting, and Execution (PPBE) processes. The CBO supports all DoD Commands, Agencies, Field Activities, all other organizational DoD entities, including Medical, and their partners, United States Coast Guard (USCG) and the National Aeronautics and Space Administration (NASA). CBO facilitates lessons learned across the DoD and its partners, USCG, and NASA and provides acquisition, implementation, and sustainment product/services for all DoD Commands, Agencies, Field Activities, all other organizational DoD entities (including Medical) and their partners. Services will provide for total integrated life cycle management activities for Project, Program and Portfolio (PPP) Management; Business, Cost Estimating and Financial Management; Systems Engineering; Business Analytics; Information Technology; Facilitation, Education and Training; and Technical Editor,Writing and Illustration including efforts required for moving to an enterprise-wide, life cycle alignment of resources and outputs to achieve top-down performance driven outcomes for all DoD Commands, Agencies, Field Activities, all other organizational DoD entities, including Medical, and their partners for both CONUS / OCONUS sites. Foreign Military Sales (FMS) services are also included. Place of performance will vary for each Task Order (TO) to include all DoD and partnering sites, both CONUS and OCONUS. Contractors are responsible for all costs for submitting their capability packages. The PASS-SB requirements and acquisition strategy as stated in this notice may be subject to change as the acquisition evolves. The POCs for this PASS-SB requirement are the Contracting Officer, Torrence Trappier at Torrence.trappier.civ@mail.mil (609-562-6486), and the Contract Specialist, Julie Cameron at julie.a.cameron.civ@mail.mil (609-562-7026). All capability packages and PWS information/comments from Industry ON THE PASS-SB ACQUISITIION ONLY must be electronically submitted to the PASS POCs by 27 June 2013 by 1:00 PM EST. Contractors are advised that the information submitted to the POCS must be UNCLASSIFIED responses to this notice. R — Vendor Collaboration – The National Assessment of Educational Progress (NAEP) Logistics and Program Support Services ED-IES-13-R-0040 Scott Frankel, Contract Specialist, Phone 2022456822, Fax 2022456297, Email Scott.Frankel@ed.gov – Michele E. Moore, Contracting Officer, Phone 2022456194, Fax 2022456297, Email Michele.Moore@ed.gov ;Thp;The U.S. Department of Education (Department) is hosting a Vendor Communication Webinar Event to provide pertinent details regarding The National Assessment of Educational Progress (NAEP) Logistics and Program Support Services on behalf of the Departments’ Institute for Education Sciences (IES), National Center for Education Statistics (NCES). The Department’s intent is to host a Webinar in which interested parties and potential offerors can obtain key information on the requirement to allow for a robust understanding of the respective requirement in its entirety, and to obtain valuable feedback from industry. The date and time of this Webinar are 1:00-2:00pm, ET on July 2, 1013. A brief overview of the requirement is provided below. The Department intends to solicit and negotiate an Indefinite Quantity/Indefinite Delivery (IDIQ) contract to a single, successful offeror. The IDIQ contract will have fixed-price task orders. Funding will be provided as task orders are issued. This requirement is 100% set-aside for small businesses, under the authority of FAR 19.7.The purpose of this requirement is to obtain program support and services to facilitate planning, reporting and tracking of publications, coordinating support for program and policy issues related to NAEP in areas such as technical meetings, securing external experts to address specific issues (e.g., task forces on increasing student participation, item review, report production); managing standing and ad hoc experts needed to support the next generation of NAEP assessments (panels of principals and teachers, as well as panels of technology specialists to support on-line assessments, and panels of content and policy specialists in areas such as readiness and improving school and student participation. • Logistical support covers a range of activities and services required for the successful implementation of meetings, conferences, and/or events. Support shall include, but not be limited to, providing pre-/onsite/post-meeting support; developing work plans; selecting venues and negotiating contracts for vendor services; preparing agendas; preparing and sending letters of invitation, confirming participation; assembling, preparing, copying, and distributing meeting and conference materials; providing online meeting registration (if requested); making travel arrangements for sponsored guests, including lodging and per diem; issuing honoraria; processing/reimbursing travel expenses for non-federal meeting participants; arranging for and securing audiovisual and 508 compliant services; note-taking, reporting, and transcription services (if requested); and preparing detailed written meeting summaries (if requested). • Program Support Services shall include but not be limited to providing the Assessment Division (AD) with on-site support in the management and coordination of all publications/reports and data products needed to respond in a timely fashion to external requests. Program support will include the writing of original text for briefing papers, short reports and the review and editing of source documents and reports from internal and external sources to National Center for Education Statistics (NCES) and providing feedback to the Assessment Division. The draft Performance Work Statement (PWS) is included with this notice. 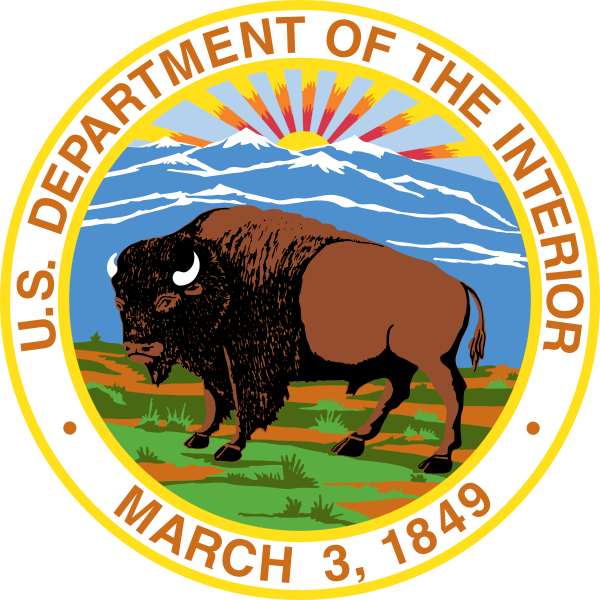 The Department encourages comments and feedback from capable and interested vendors to the draft PWS, including comments and feedback to improve the scope of work, proposed methodology, and recommend possible contract arrangements for consideration. The Program Executive Office for Simulation, Training and Instrumentation (PEO STRI) will be conducting a Presolicitation Conference and Site Visit for the Special Operations Forces Training, Engineering and Maintenance Support II (SOF TEAMS) solicitation. These events will be held together at the 160th Special Operations Aviation Regiment (Airborne) (SOAR(A)) facilities located at Fort Campbell, KY from 28 to 30 May 2013. Vendors interested in attending this joint event are requested to respond no later than 1400 hours (EST) on Tuesday, Monday 13 May 2013. As part of this response vendors must request if they would like a one-on-one session with the Government to discuss specifics generated from the SOF TEAMS II draft solicitation and requirements documentation attached as part of this special announcement. All interested vendors are encouraged to attend and may request a one-on-one session and will be schedule on a first-come-first-serve basis for either May 29th or May 30th from the hours (0830 – 1700). One-On-One Sessions will not exceed 45 minute in length. 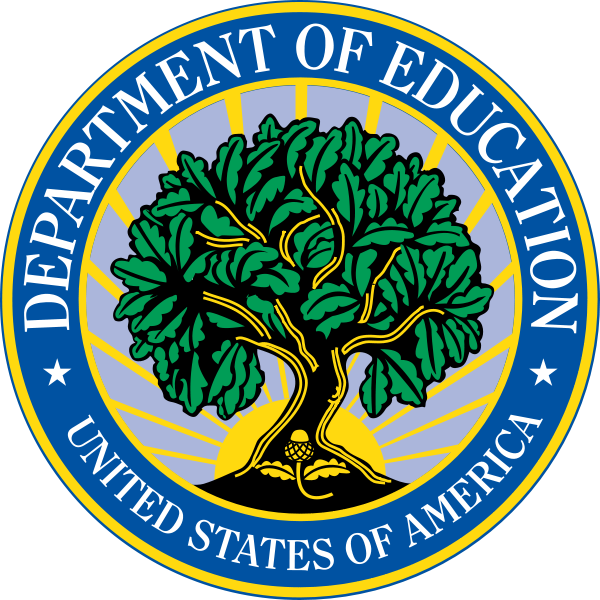 R — Vendor Collaboration – The National Assessment of Education Progress (NAEP) Logistics and Program Support Services ED-IES-13-R-0040 Scott Frankel, Contract Specialist, Phone 2022456822, Fax 2022456297, Email Scott.Frankel@ed.gov – Michele E. Moore, Contracting Officer, Phone 2022456194, Fax 2022456297, Email Michele.Moore@ed.gov The U.S. Department of Education (Department) is hosting a Vendor Communication Webinar Event to provide pertinent details regarding The National Assessment of Educational Progress (NAEP) Logistics and Program Support Services on behalf of the Departments’ Institute for Education Sciences (IES), National Center for Education Statistics (NCES). The date and time of this Webinar are 1:00-2:00pm, ET on July 2, 1013. A brief overview of the requirement is provided below. R — Notice of Contract Award GS-04P-13-BV-C-0019 Kiersten S. Mathews, Contracting Officer, Phone 404-526-3125, Email Kiersten.Mathews@gsa.gov GS-04P-13-BV-C-0019 $715,000.00 062413 Ursula von Rydingsvard, 78 Ingraham Street, Brooklyn, NY 11237 US In accordance with FAR 5.3 Synopses of Contract Award, the General Services Administration (GSA) announces the award of contract GS-04P-13-BV-C-0019 to Ursula von Rydingsvard Studio, Brooklyn, NY as a result of a search of artist listed in the GSA artist registry. This contract is for the Art Design and fabrication of art in the New Federal Office Building, Miramar, Florida. Effective date of award is June 24, 2013. The contract amount including all options is $715,000.00. If you have any questions or comments regarding this announcement, please contact the Contract Officer, Kiersten Mathews no later than close of business June 28, 2013 via email: Kiersten.Mathews@gsa.gov. U — Federal Supply Classification U009 SOL N65726-13-T-0110 General Desc: Two day Technical Writing training courseDetail Desc: Please See Synopsis For more information about this opportunity please contact the buyer directly. 99 – Endowment Investment Manager: Global Tactical Asset Allocation ( SOL UK-1270-14 Endowment Investment Manager: Global Tactical Asset Allocation (“GTAA”)Attachment 1 Questions and Answers For more information about this opportunity please contact the buyer directly. R – Community Corrections Audit RFP : 1300000397 Department SOL Community Corrections Audit RFP : 1300000397 Department Of Corrections Published On : 6/27/13 Amended On : Closing On : 8/5/13 2:00 PM EDT Time Left: 38 Days, 02:41:54 For more information about this opportunity please contact the buyer directly. U – Wire and Obstruction Training RFP : 1300000395 Departme SOL Wire and Obstruction Training RFP : 1300000395 Department Of Military Affairs Educational Published On : 6/27/13 Amended On : Closing On : 7/18/13 2:30 PM EDT Time Left: 20 Days, 03:11:41 For more information about this opportunity please contact the buyer directly. T – POST CARDS AND MAILING RFB : 1300001100 Office Of The C SOL POST CARDS AND MAILING RFB : 1300001100 Office Of The Controller Richard Mize Published On : 6/27/13 Amended On : Closing On : 7/12/13 1:30 PM EDT Time Left: 14 Days, 02:11:22 For more information about this opportunity please contact the buyer directly. R – Temporary Personnel Staffing RFB : 1300001096 Office Of SOL Temporary Personnel Staffing RFB : 1300001096 Office Of The Controller Richard Mize Published On : 6/27/13 Amended On : Closing On : 7/11/13 1:30 PM EDT Time Left: 13 Days, 02:11:10 For more information about this opportunity please contact the buyer directly. Kansas – Kansas State University https://eforms.ksu.edu/rfq/index.aspx Division of Financial Services/Purchasing, 21 Anderson Hall, Kansas State University Manhattan, KS 66506-0108. Ph: (785) 532-6214. R – Video Production Support Services Addendum SOL 40346Addn1 Video Production Support Services Addendum For more information about this opportunity please contact the buyer directly. R – Comprehensive Banking Services SOL RFP-3075-0-2013/KBM Comprehensive Banking Services For more information about this opportunity please contact the buyer directly. T – Printing and Binding of a Book – McIntosh and Anderson / Kentuck SOL K-0683-13 Printing and Binding of a Book – McIntosh and Anderson / Kentucky AgateAddendum #1Attachment A For more information about this opportunity please contact the buyer directly. U – Leadership Development Program SOL UK-1274-14 Leadership Development Program For more information about this opportunity please contact the buyer directly. 99 – Endowment Investment Manager: Global Tactical Asset Allocation ( SOL UK-1270-14 Endowment Investment Manager: Global Tactical Asset Allocation (“GTAA”)Attachment 1 For more information about this opportunity please contact the buyer directly. R – Endowment Investment Manager: Non-Core Real Estate Attachment 1At SOL UK-1266-14 Endowment Investment Manager: Non-Core Real EstateAttachment 1Attachment 2 Questions & Answers For more information about this opportunity please contact the buyer directly. R – Temporary labor RFB : 1300001090 Office Of The Controll SOL Temporary labor RFB : 1300001090 Office Of The Controller Richard Mize Published On : 6/25/13 Amended On : Closing On : 7/9/13 1:30 PM EDT Time Left: 13 Days, 03:15:29 For more information about this opportunity please contact the buyer directly. T – Short (3 minute) Animated Video Production SOL DEQ-1176-13 Short (3 minute) Animated Video Production For more information about this opportunity please contact the buyer directly.